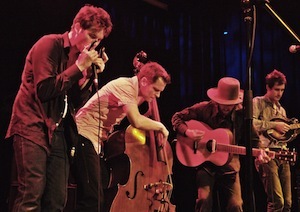 Last year was a good one for Old Crow Medicine Show as they won a Grammy Award for “Best Long Form Music Video” for the film Big Easy Express. They also won a platinum certification for selling more than 1,000,000 copies of their single “Wagon Wheel”. This year they’ll return to Dublin for a show at Vicar Street on October 20th. Tickets go on sale Friday, May 2nd.